Keep your wine from oxidizing! This is one of the most prized possessions of our in-house wine maker. He uses Argon because of its high molecular weight, but CO2 will work. From extended macerations (he gasses before and after laying plastic wrap over the cap) to topping up storage tanks (he uses before setting the floating lid), this is a great way to make sure no excess oxygen is getting into your wine. This can also be used to purge any tank before filling with the wine. 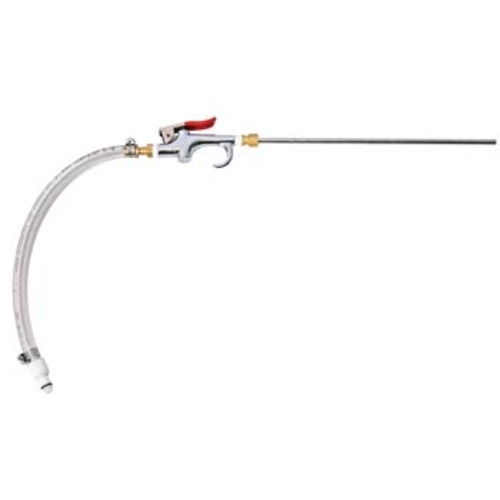 Designed to mate with an H550B Quick disconnect installed in the standing end of your 5/16" gas line (H550B and gas line not included).